Should Your Cat Sleep in Bed with You at Night? Thinking about having your cat sleep with you? Here are some things to think about before making sharing a bed a permanent thing! We’ve previously looked closely at the pros and cons of allowing your pet dog to share your bed, but what about cats? 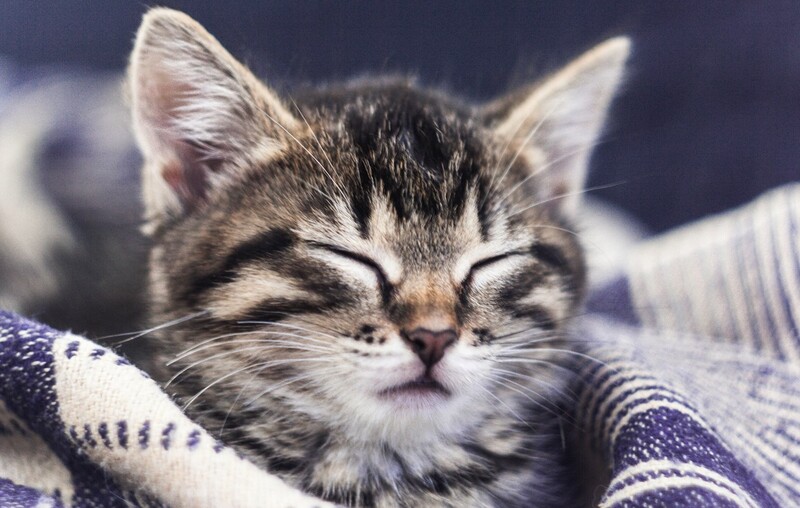 A typical cat sleep schedule covers about 16 hours per day, so could they be good sleep companions at night? The Centers for Disease Control and Prevention (CDC) estimates that around 50 percent of pet owners in the United States allow their pet to sleep in bed with them. Studies show that nearly two-thirds of owners sleep with their cats. According to veterinarian Dr. Steve Weinberg, allowing your feline friend in bed with you can potentially calm anxiety and night terrors. While cats are very cuddly, their biological clock may cause some issues with their bed partners. More here.